In 1825, Thomas Swords, a nineteen-year-old student at Columbia College, New York, gained entry into the United States Military Academy. Upon graduation in 1829, the Army placed him with the 4th Infantry and he served with the regiment in Alabama and Florida. In 1833, he became a 1st lieutenant in the newly formed 1st Dragoons. In 1846, the Army commissioned Swords as an assistant quartermaster. He was attached to Brig. Gen. Stephen Kearney—™s Army of the West and followed the command out to New Mexico and then California. Swords returned to the East but in 1857, now in the position of deputy quartermaster, he was sent by Quartermaster General Thomas Jesup out to San Francisco to take control over the disorganized state of the affairs existing at the quartermaster—™s department in the Department of the Pacific. In 1973, a packet of personal letters written in 1842-1846 by Swords to Lt. Abraham Johnson, written while he was stationed at Ft. Scott, were discovered at the United States Military Academy and published by the Kansas Historical Society. Recently, the author acquired four more letters. Lt. Col. Swords wrote these letters to his friend William A. Gordon, personal secretary to Gen. Jesup in the late 1850—™s. This unfiltered correspondence of a senior officer, feeling his career to be at a dead-end and yearning to return to the States, offers insight into the state of military affairs in Antebellum California. Swords—™ spelling and grammatical errors have not been corrected. As is evident in all of his letters, Swords did not suffer fools and had little use for many fellow officers in the quartermaster department. Of particular interest in these letters are references to the nefarious actions of Capt. Thomas Jordan. This enterprising officer soon would be court martialed in 1861 upon allegations that he fraudulently discounted vouchers to contractors in connection with the construction of lavishly overbuilt Fort Dalles in Oregon. The colorful and personally charming Jordan managed to escape punishment by resigning his commission and joining the Confederate Army where he acted as a valuable adjutant for Generals Pierre Beauregard and Albert S. Johnston. He would eventually rise to the rank of general and have a successful post war career as a writer and participant in the Cuba Libre movement. Colonel Swords had a much less exciting career. He remained loyal to the Union during the war and in 1861, would replace Col. Charles Thomas as the Army—™s Assistant Quartermaster, earning a major general—™s brevet in 1865. On 22 February 1869, he retired to live in New York. I had hoped that before that I should be able to tell you something definite in relation to this detestable matter about Schumburg, but it appears this subject is not yet settled. The Senate in acting on the nomination of Ewell, refused to confirm it and called the attention of the President to a former resolution brought by them. I have understood that the President replied that he was aware of the resolution, and the Secy of War had investigated and made a report on the case—”here the subject rests for the present. The President says he will never nominate Schumburg, so the vacancy may remain open, at least until another occurs either among the Captaincies or First Lieutenancies, as if S. is not placed on the Register as 1st Lt. [,] the Senate may refuse the confirmation [of] the next nomination of 1st Lieut. Everybody here is in quite good spirits to-day from the effect of Mr. Webster—™s speech delivered yesterday and the disunion stock is getting quite below par, if they table the question over a few weeks longer, the probability—”is, it will result like a lover—™s quarrel and all parties will be more loving from the temporary estrangement. I might perhaps to except the abolitionist as I consider them beyond the influence of common sense views which operate in sensible beings. As to the Freesoilers, they may be considered among the things that were, at least as far as their influence is felt in Congress. No notice is taken of them by either of the other parties. We have nothing new in the way of Army movements, no assignment has yet been made in our Dept. towards scattering some of us in the spring. What will my fate I don—™t know, neither do I much care. Would have no objection to remaining here, if I could be permanent, which is not the case, as every little while I get a scare about going somewhere, I know I could make myself contended in almost any place which Mrs. S[words] could go with me. We have had a very gay winter of it—”at a party almost every night go at 10 or a 1/2 before and come away at about 1 or 2 , but it makes no difference as to our hour of getting up, which is always in time for breakfast. Ewell has been over occasionally with some ladies from Balt. and if don—™t take care, I think, from what we hear, he will get fixed before he leaves here. I have been locking for him since the action by the Senate, but if he has been [passed] over he has not shown himself to me. 17 member of the Senate were absent when the nomination was acted on, and the resolution of passed by only one majority. Clay voted against Ewell—™s nomination. I have had a very pleasing reception of Mrs. Love and think you have been fortunate—”as well as myself in your selection. I could wish you no better wish, than that you may continue to be as happy as we have been in our married life. Chairman of the Mil. Com. I am informed that the Mil. Com. of the Senate, has under consideration, a measure, the effect of which would be to restore J. W. Schuamburg to the 1st Regt. 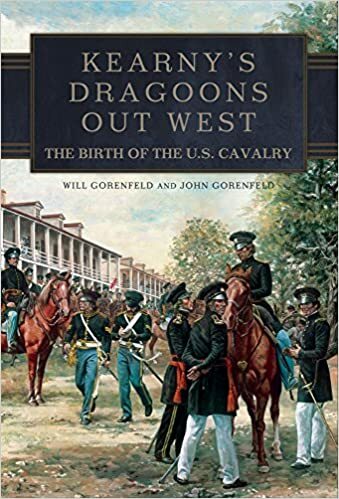 of Dragoons in the Army. As I consider it would be an act of great injustice, and as I am, an officer of the Reg—™t, which would suffer by it, I ask leave to make you a statement on the subject, and through you to the Com. In the first place, I respectfully represent to you that the case has been decided over, and over again—”in every form of adjudication, by which such cases ought to be, and can be settled and quieted—”by Secretaries of War—”by Presidents, and by the Senates of the U.S. and by all them after carefeul investigation. If it is not now an adjudicated case, it is difficult to conceive how this case can be a settlement, or any security in decisions involving the rights and commissions of Officers of thr Army. 2 . . . If it were an open case, it is a bad case. Mr. S has no claim to restoration. He resigned from the Army, and has been out of the Army for 12 years. To present the facts of his case officially, I herewith submit a report of Genl. Scott, and, a decision of Mr. Secretary Spencer upon it. They show how entirely groundless is his claims to be reinstated. I ask your attention specifically to one or two points. Mr. S. has given different reasons, at different times, for his resignation, any one of which (and which one of them is the real motive) will be sufficient to show, that his resignation was perfect and he had has no claims to be restored. Third He says in his letter to Mr. John Bell, Secretary of War in 1841 that he resigned out of disgust at the injustice practiced toward Officers of the Army. The whole of his letter is herewith submitted to you and shows his meaning to be that the injustice he complains of, and in consequence of which he resigned was the treatment of the Army under Gen—™l Jackson—™s administration. Now, whichever of these was the cause of his resignation, it was a voluntary, perfect resignation, accepted by the Gov’t, and not now to be revoked, and, annulled. In point, of fact, I was an, Officer of the Reg’t, and serving with him, at, the same post, at the time, he resigned under charges, and, in arrest. I shall not consider the grounds and, arguments, on, which he was claiming restoration heretofore. They have all been successfully refuted in the Official discussions rejecting his claim. I, am informed he has now, a new argument Vis—”his resignation, a Commission of 2d Lieut. whereas the resignation accepted was of the Commission of 1st Lieut. because between the date the date of his resignation, and, acceptance of it, he was promoted. The answer to it, appears very obvious, he had and could have but one Commission to resign. He resigned his Commission, and when he resigned it he surrendered, all the right and incidents belonging to it, the right of promotion—”the actual promotion, If his argument prevails, how many resignations (bonafide made and accepted) may it not vitiate. The 1st Reg—™t of Drag—™s will suffer great injustice if this act is done. I believe more Officers of this Reg—™t have fallen in battle in this War than any other Reg—™t of the service, but without pleading the services of the Reg—™t. and the claim they may give to the favor of the Govmt. I am sure you will consider that it ought not to appeal in vain to the justice of the Govmnt. My own personal concern in the matter is slight. My interest in it is that Officers of the Reg—™t may not suffer the injustice and humiliation of having Mr. S placed over them in the Reg—™t from which he resigned near 12 years ago while they have served, without other reward for faithful services, than such promotions as the survivors have attained from the death of those who have died in service or fallen in battle. Although I am nearly written out having been hard at it since 5 o—™clock this morning, giving instructions ruefully to carry out the orders for the march of the 4th Inf. which I did not receive in detail until last night, I cannot let another mail go, without having a little chat with you. Our trip out was a very pleasant one. Though quite enjoyable I sure would have no objection to making it right over to his return to New York that is if the Dept. should think proper to send me there, which both [Maj. Osborne] Cross and myself have some people say [should] be done. He [Cross] is seen in San Francisco, wrote me word he would be up last night if he was well enough, having been suffering for sometime with intermittent fever. I do not know whether he will defer his departure for Oregon, wait until after the time he has permission to delay or will wait in San Francisco after his return. I wish assignment could be made so that I might go up in his stead and then return to Washington after having completed my duty. I think his long service here would enable him to make arrangement for the march of the 4th Inf. much better than I can–though I will do my very best and go up to Walla Walla before they leave. Since I have been here I have been down to San Diego with our distinguished commission and the result of the trip is the breaking up of the seaport there and the removal of the troops from the old fortification. The depot had ceased to be of any use since the post in this section is supplied by the Colorado and was only a unnecessary expense to the Dept. All the stores, etc., will be brought to the seaport here. The number not required in California will be sent from all the ports to Walla Walla and these will number 400 or upwards. So we will get rid of a heavy expense on this account. I very much fear we will lose [Capt. Ralph] Kirkham, he is an excellent officer and would really be a great Col. I wish the Gen—™l [Thomas Jesup] had assigned the officer that is to go with the 4th. [Capt. Robert] Allen is much excited for fear he away go and [Capt. Thomas] Jordan, I suppose would not like it any better. When I submitted my letter to our Col. [Charles Thomas] he did not like to endorse it, in consequence of the illusion I made to Kirkham—™s resigning. I thought it necessary that our chief Thomas would be advised of what might probably be the result but told him he might strike it out, or make any remarks on it he thought preferable. So he finally concluded to put his name on it. He and myself have so far got along most harmoniously and I anticipate no difficulty, this thing of submitting to him everything I may write to the Head of the Dept. will necessarily make my correspondence very brief and confined only to the most necessary subjects. We are residing in a very nice family house, but as soon as it is decided that senior q[uarter]masters are to remain here and that I am to serve out my duty years, will make ourselves more comfortable at housekeeping. Am much obliged to you for the copy of the correspondence, which does neither of the parties any credit and will do the late Sec—™try [of War Jefferson Davis] much harm. I think he may consider himself as no longer one of the prominent candidates for the board of the White House. Let me know where all the officers of our Dept. are stationed, and what is the prospect of [Capt. William] Chapman or any body coming out–but without I can have discreet, reliable officers, would rather have some. There is one here, who is spending a great deal of money who I would be pleased to get rid of. How is old friend [Maj. Michael] Clark. When you see him tell him to please drop me a line and give me all the gossip, although he may not go out of the house. I know he knows everything that is going on. Is it time that [Maj. Ebenezer] Sibley is to take Col, Thomas—™ place. If so, I think our little Col. had better come out to get a look at the mighty Pacific. Let me have all the news of the office. The Eastern mail is not yet in. So we are in ignorance of what has occurred in the great world for the past month and there has not much been done here that would interest you. I have been down to Monterey and made an inspection of our old buildings there & which are of little value and probably will not likely ever be again required. So I discharged the agent after the end of this month and made arrangements to have the premises occupied and taken charge of without expense. I am trying to hunt up something in regard to our title to the premises, but fear, like most things other things in this country, no record has been kept of it. Will make a report on the subject by the next mail. Lieut. [Ralph] Kirkham is here. I want him to go up to Walla Walla & Gen—™l [Newman] Clarke to the Dalles, how it will terminate I don—I know, he is a past favorite with the Genl. as he belonged to his Regt. He bought a place over the Bay in Oakland, where his family will remain. So, I suppose does not wish to go further off there [if] he can help. The Genl. talks of ordering [Capt. Thomas] Jordan to report to the Q M Genl [Thomas Jessup] when relieved. If [Capt. William] Chapman does not arrive by the Isthmus he may find he will have to go to Walla Walla. I want to get Jordan away from the Dalles, and would send him to Humboldt, if I had my way. I now come to the old [illegible] I have not one cent on loan and if a remittance is not sent by the mail—”will have to draw for the October disbursements. What has become of [Col. Charles] Thomas? Was the proud army of QMs with the Utah Expedition but a flash in the pan? I understood [Capt. Stewart] Van Vilet was in New York at last accounts. I have not a word of news that will interest you, and merely write to let you know that you are not forgotten, as it is some time since I last wrote. We are pretty much over the excitement caused by he outbreak of the [Paiute] Indians in Carson Valley. The Regulars [6th Infantry] have procured arms at Pyramid Lake where I suppose they will wait until something is is determine about the establishment of a post. And the Indians have all fled to the mountains, where they will be beyond the reach of our troops, without the right sort of men properly equipped against them. The Regulars, it appears, got along first rate with Jack Hay’s volunteers. No quarreling, and each speaks well of the other. [Captain and assistant quartermaster Tredwell] Moore, they say, is very popular, which may perhaps be attributed in part to the liberal use of Uncle Sam’s money and supplies, but I ought not to judge him until his acts come in. He has written for more funds and I have had to tell him until his acts. come in. He has writen for more funds and I have had to tell that I was entirely out. [Moore estimated Fort Churchill would cost $193,000; Swords ordered to Utah Territory October 13, cut off $14,000.] Last mail I got your notification of a remittance of $80,000 for Oregon but none for California. The draft did no come, so [Quartermaster Rufus] Ingalls will have to wait another two weeks. His debts at the end of the month were $65,000 for Fort Vancouver. What they are at Wall Walla and other posts the Lord only knows. I fear you surmise as to our friend Charlie S. [Lovell] will turn out but too well formed. After he heard of his escape from his last scrape, he got drunk again and has been in arrest ever since, though [Major Albermarle] Cady [6th Inf. commanding Fort Yuma] has not preferred charges and will not do so, if he can help it. He must resign or be disciplined sooner or later, and then what will become of him. [Brevet Major Robert] Allen [Assistant Quartermaster, Department of Pacific] report about the “Massachusetts” came in a few minutes since. I have not read it, and cannot get Gen’l [Newman S.] Clarke [Commanding the Department] to act on it in time for this mail. Gen’l Joe Lane was been [politically] killed in Oregon and the Republicans have almost carried the state [and in October, would elect E.D. Baker as U.S. Senatr]. Did the Democrats anticipate this when the state was admitted? We are anxious to hear the result of the Baltimore Convention [for June 16]. Hope they will nominate somebody at least as credible to their party as Lincoln to the Repubicans. The next time I may be more in the humor of writing or there may be something more interesting to write about. As to myself, my military ambition is at an end—”and I never again expect to take that interest in the service which I have heretofore felt. I hope I may continue to perform my duty conscientiously but certainly shall not make myself unhappy if things do not go as I should wish. Thomas has reaped the reward of overzeal and the Executive and Senate have decided that too quick regard for the interests of the Treasury is cause for being unfit for advancement. Well let it be so—”I shall act on this principle. The only cause now to be pursued is to make myself popular by yielding to the demands of all. It is perhaps fortunate for the Gen—™l that he did not live a few months longer to witness the disgrace of Charles [Thomas] whose resignation I suppose has been accepted before this. The accounts of him from you are most culpable—”and additional charges have been preferred. These I have had withheld until the War Dept. could take action on his resignation. I wrote to [Capt. Lorenzo] Sitgreaves all about him—”and we will probably have him in a short time again disgracing himself in Washington. He wanted to leave at once, but I thought it better to keep him out of the way as long as possible. If the vote on the nomination [of Johnston] has been made public, or proposed to, let me have it. I have heard that [Charles] Thomas thought of resigning—“were I he, I would see this done first. Francis R. Heitman, Historical Register of the Army of the United States Army, from its Organization, September 29, 1789, to March 2, 1903 —œ Thomas Swords— (Washington, Government Printing Office 1903) 2 volumes, vol. I, 941; George W. Cullum, Register of Officers and Graduates of the U.S. Military Academy at West Point, N.Y. from March 16, 1802 to January 1, 1850 (N.Y. J.F. Trow, Printer 1850), 155. Harry C. Myers, From —˜The Crack Post of the Frontier—™: Letters of Thomas and Charlotte Swords— 5 Kansas History: A Journal of the Central Plains (Autumn 1982 Kansas Historical Society) No. 3. General Order No. 1 War Dep—™t, Adjutant General—™s Office, Washington D.C., January 18, 1861, General Orders of War Department Embracing the Years 1861, 1862 & 1863 by Thos. O—™Brien & Oliver Diefendorf (New York, Derby & Miller 1864) 2 volumes, vol. 1, 1. Ezra Warner, Generals in Gray, (Baton Rouge: LSU Press 2000) 167. The 4th Infantry arrived in California in 1852 after a disease-ridden trip across the Isthmus of Panama. By 1861, elements of this regiment were stationed from Fort Yuma to Puget Sound. Thomas Rodenbough, editor, The Army of the United States, Historical Sketches of the Staff and Line with Portraits of the Generals-in-Chief (reprinted New York, Argonaut Press 1966), 463; Will Gorenfeld and George Stammerjohan, Infantry in Antebellum California, Military Collector & Historian. vol. 58, no. 4 (Winter 2006), 241. Major Osborne Cross graduated from the Military Academy in 1825 and was commissioned as a second lieutenant in the 1st Infantry. In 1836, he was commissioned as an assistant quartermaster and, in 1847, became a major in the quartermaster department. Cullum, 129. In 1856, tensions arising from the Yakima War resulted in the construction of an army post at Walla Walla, Washington Territory. Robert Utley, Frontiersmen in Blue (New York: The Macmillan Company 1967) 200-201. Captain Ralph Kirkham graduated from the Military Academy in 1842. 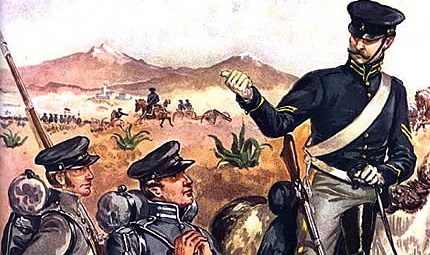 He gained second lieutenant—™s commission in the 6th Infantry He fought in the Mexican War, earning brevets for heroism at the Battles of Contreras, Churubusco and Chapultepec. In 1856 he was made an assistant quartermaster and transferred from Ft. Tejon to the quartermaster—™s depot in San Francisco. Heitman, —œRalph Kirkham—, vol. 1, 604; see also Robert Miller, editor, The Mexican War Journal & Letters of Ralph W. Kirkham (College Station: Texas A&M Press 1991). In 1808, Thomas Jesup was commissioned a 2d Lt. in the 7th Infantry. Rising in rank during the War of 1812, he became Quartermaster General on 8 May 1819. Heitman —œThomas Jesup, vol. I, 573. Robert Allen graduated from the Military Academy in 1836 and entered service with the 2nd Artillery. Lt. Allen received a brevet for his actions at the Battle of Cerro Gordo and, on 19 October 1847, he gained a commission as assistant quartermaster. Heitman, —œRobert Allen—, vol. 1, 159. Charles Thomas entered the army in 1819. On 7 July 1838 he was promoted to the rank of Major in the Quartermaster—™s Department. On 1 August 1856, Thomas became the assistant quartermaster general. Heitman, —œCharles Thomas—, vol. 1, 953. Swords brought his wife Charlotte with him to California. William Chapman graduated from the Military Academy in 1837 and received a 2d lieutenant—™s commission in the 2d Artillery. He was promoted to Captain in the Quartermaster—™s Department on 11 Mat 1846. Chapman received a brevet to the rank of major for his actions at the Battle of Buena Vista, February 23, 1847. He died on 27 September 1859. Heitman, —œWilliam Chapman—, vol. I, 296. Michael Clark of Virginia graduated from the Military Academy in 1826, and gained a 2d lieutenant—™s commission in the 2d Artillery. On 18 June 1848 he became an assistant quartermaster and was promoted to major on 1 August 1856. Heitman, —œMichael Clark—, vol. I, 305. Ebenezer Sibley graduated at the top of his class at the Military Academy in 1827 and gained a 2d lieutenant—™s commission with the 1st Artillery. He became a captain in the quartermaster—™s department on 7 July 1838. Brevetted for gallant conduct at the Battle of Buena Vista, Sibley was, on 22 December 1856, promoted to the rank of major in the quartermaster—™s department. Heitman, —œEbenezer Sibley—, vol. I, 885. Closing the facility in Monterey was in accord with the recommendation made by Inspector General Joseph Mansfield in his 1854 inspection report. See Joseph Mansfield, Robert W. Frazer, editor, Mansfield on the Condition of the Western Forts 1853-54 (Norman: Univ. of Oklahoma Press 1963), 120-121. In May of 1857, the War Department placed brevet Brigadier General Newman Clarke in command of the Department of the Pacific. Utley, 200. Clarke had entered the military as an ensign during the War of 1812 and rose to the rank of colonel of the 6rh Infantry on 29 June 1846. Heitman, —œNewman Clarke—, vol. I, 307. Captain Kirkham would end up stationed at Fort Walla Walla and participated in the 1858 campaign against the Palouse and Spokane tribes. Lawrence Kip, Indian War in the Pacific Northwest (reprinted Lincoln: University of Nebraska Press 1999) 24. He would remain in Oakland for the remainder of his life, becoming one of the town—™s founding fathers in the post Civil War era. Miller, 115-116. Lieutenant Colonel Swords was obviously receiving information at this time that Capt. Jordan was committing a series of unauthorized actions rebuilding Fort Dalles and sought to have him transferred. Carl Schlicke, General George Wright: Guardian of the Pacific Coast (Norman: Univ. of Oklahoma Press 1988) 130; see also infra, footnote 2. Jordan’s actions resulted in his being court martialed. At the time of the writing of this letter, the Utah Expedition of the so-called Mormon War had, on 18 July 1857, left Fort Leavenworth bound for Salt Lake City. As it entered into Utah Territory, the expedition, harassed by Mormon rangers and physically weakened by cold weather, the vanguard retreated to winter quarters at Fort Bridger. Durwood Ball, Army Regulars on the Western Frontier, 1848-1861, 162. Captain Stewart Van Vilet graduated from the Military Academy in 1840. After rising to a captaincy with the 3d Artillery, in 1847 he became a captain in the Quartermaster—™s Department. In 1857, Captain Van Vilet In 1857, Van Vilet was in Utah unsuccessfully attempting to secure provisions for the oncoming expedition. He also tried, with slight success, to mediate the dispute between the Mormons and the federal government. Heitman, —Stewart Van Vilet, vol. I, 984, Ball, 161. Thomas S. Jessup had been in the Army since 1808. Rising to the rank of Colonel of Infantry during the War of 1812, he was made Quartermaster General in 1818. He served at this post until his death on 10 June 1860. Swords is obviously angered by what he suspects to be a Southern cabal, led by Secretary of War John Floyd, who are fast taking control over the military. Joseph Johnston, a Virginian, graduated from the Military Academy in 1829. Initially posted as a 2d lieutenant with the 4th Artillery, he transferred to the Topographical Engineers in 1838. During the Mexican War, Johnston became Lt. Col. of the Voltigiers. When, in 1855 Congress approved the creation of the 1st Cavalry, Johnston, a close friend of Secretary of War Jefferson Davis, gained a commission as the regiment—™s Lt. Colonel. On 28 June 1860, he succeeded Jesup as Quartermaster General, resigning his post on 22 April 1861, to become a general officer in the Confederate army. Thomas would continue to perform in the Quartermaster Department until his death on 1 February 1878. Lorenzo Sitgreaves graduated from the Military Academy in 1832, and was commissioned as a brevet 2d lieutenant in the 1st Artillery. In 1838, he transferred to the Topographical Engineers where he was serving as a captain at the time of this letter.